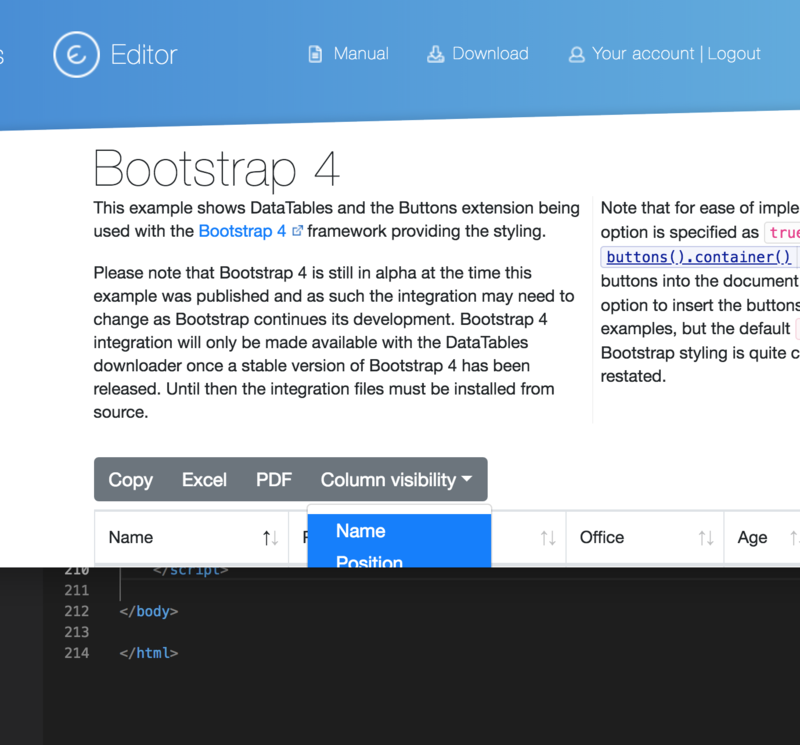 Is there a way to keep Bootstrap 4 buttons from spilling out of the viewport? Even the ones in the example seem to do it but in BS4's documentation, button menus automagically stay in view. Can you give more details on what's spilling out please, and what you think it should be doing instead? That link you posted looks fine to me. In other words, I would expect this menu to open to the top if the div extended beyond the viewport to the bottom. It does do correction for the document, but it doesn't take a div into account. That would require parsing up the DOM and could be quite slow. So in other words, this is expected? 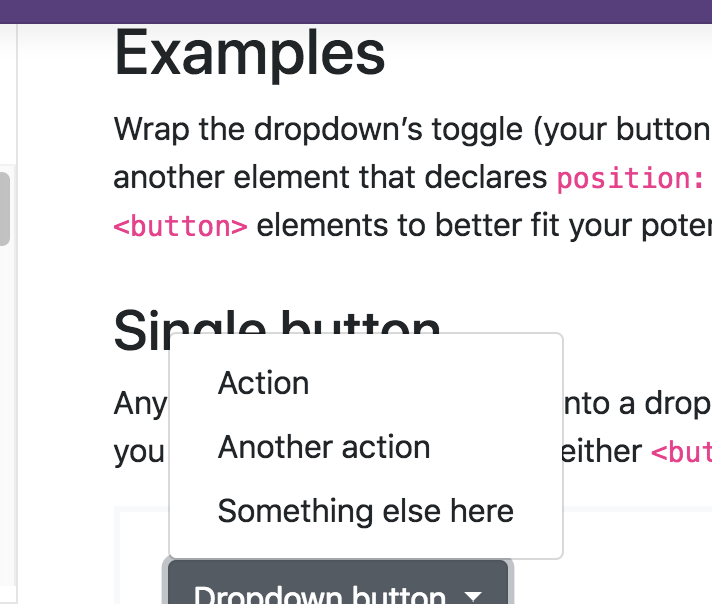 Correct - Buttons doesn't 100% implement the Bootstrap extras there. It primarily just uses Bootstrap for styling, but because it isn't solely a Bootstrap component, it doesn't have support (yet) for all the extra classes Bootstrap makes available.